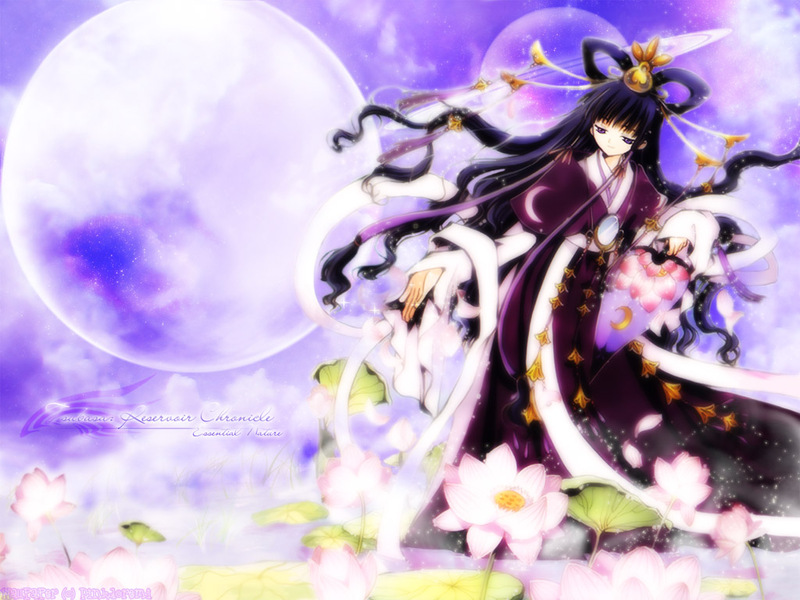 whee~ my latest wallpaper featuring Tomoyo Hime from tsubasa: rc :D oo, btw, thank u for everyone who posted in my recent forum! it really helped me with wut to do with the wall ^-^! I like this wall, it is very dream-like, and lovely. The character is interesting to look at as well. O.O omg!! that's fantastic!!! it has a great dreamy atmoshpere to it that suits the scan very well^^ and i love the flowers that's surrounding her kinda makes her feel like a goddess of course the moon contributes to this as well. Great work~!!! Quote by SeptillionO.O omg!! that's fantastic!!! it has a great dreamy atmoshpere to it that suits the scan very well^^ and i love the flowers that surrounding her kinda makes her feel like a goddess or course the moon contributes to this as well. Great work~!!! This is a very pretty wall!! You did an excellent job. I really like how the colors are more serene and the look is very soft. Like everyone said. Awesome work! Very cute and dreamy! The colours match very well and the background gives off a soft and quiet atmosphere. Great job! Whoa~ that is really, really beautiful. :) You've outdone yourself, pink. XD The colours and atmosphere are splendid and, no, I can't tell the redrawn parts at all. :D Beautiful work. I really like the ringed planet placed behind her, too. XD Fits well right there. Good job! :D Keep them coming. OMG that's sho good so beautiful favvvie!! Waiee~ That's so pretty! I was thinking about walling this image, but there'se no point in that now xD Great wallie! Awesome work :3 I'll say it again....awesome work ^^ Really nice work on extracting and re-cging...that scan musta took you forever to extract. Love the planets and the clouds...plus you added more of those pretty lil lotuses too XD Sweet work :) ! !